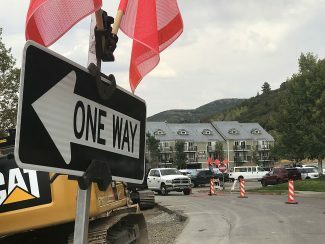 First-term Mayor Jack Thomas said on Monday he is unsure when he will publicize whether he will seek re-election, leaving the key early Park City political question unanswered as the campaign season nears. 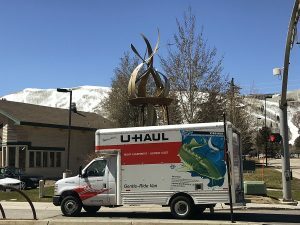 Thomas has said little about his intentions in recent months even as there has been movement on the Park City Council campaign, which runs on a parallel schedule as the mayoral contest. A decision from Thomas will likely quickly clarify the mayoral campaign. If he seeks re-election, some potential mayoral candidates may opt against challenging the incumbent. 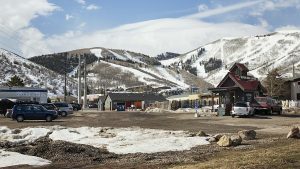 But should he decide against a seeking a second term, there could be a scramble as mayoral hopefuls see an opportunity to compete for Park City’s top political post without the incumbent on the ballot. Thomas said in an interview he does not intend to make an announcement for some time. He said it will be “a couple weeks, at least” before one is made. If he sticks to a timeline like that, it is likely he will not make an announcement until just before the window opens when candidates must file formal campaign paperwork at City Hall. The filing window runs from June 1 until June 7. The mayor on Monday declined to answer questions about the prospects of a re-election campaign. He also declined to discuss whether he has made his decision and is waiting until closer to the opening of the filing window to disclose his plans. Thomas, a Park Meadows resident and an architect, won the mayoral campaign in 2013 as a member of the Park City Planning Commission. He defeated Andy Beerman, a City Councilor who continues to serve in that capacity. 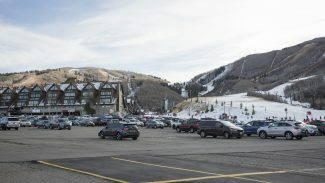 Thomas has led Park City during a tumultuous three-plus years that have seen the sale of Park City Mountain Resort to Vail Resorts, a hotly contested trademark dispute centered on the name ‘Park City’ and widespread concerns about traffic, housing and the overall vibe of the community. Thomas is seen as a centrist and, although there has been community discontent during his term, it is rarely directed at the mayor himself. City Hall under the Thomas administration has pursued aggressive housing and sustainability programs, two efforts that have been popular with the community. If he does seek re-election it seems almost certain his platform would be built upon similar issues as he outlines ideas to continue the housing and sustainability efforts. The political season will become even more compelling once Thomas announces his intentions. Should he seek re-election, figures considering a campaign who also back the incumbent would need to make an uncomfortable decision about challenging someone they support. If Thomas does not mount a second campaign, the field could be especially intriguing to voters with the possibility of known political figures and newcomers launching bids. Beerman remains prominent nearly four years after his loss to Thomas. Tim Henney, another member of the City Council, has also mentioned a mayoral campaign as a possibility under certain circumstances. It seems unlikely Beerman and Henney, who currently serve together on the City Council, would seek the mayor’s office at the same time, though. There has also been persistent chatter in recent months about the possibility of Dana Williams seeking a return to the mayor’s office. Williams served three terms as the mayor ending in early 2014 after he did not seek re-election in 2013, the year Thomas won the office. He won three elections by wide margins, including one without a challenger. Williams has not made public statements about his interest in the mayoral campaign. He did not immediately return a phone message seeking comment. If more than two people campaign for the mayor’s office, a primary would be held in August to reduce the field to two candidates. Election Day is Nov. 7. The winner will be sworn into office in early January. There are two City Council seats on the ballot as well, now held by Cindy Matsumoto and Henney. Matsumoto has said she will not seek re-election. Steve Joyce, a member of the Planning Commission, is the only declared City Council candidate.